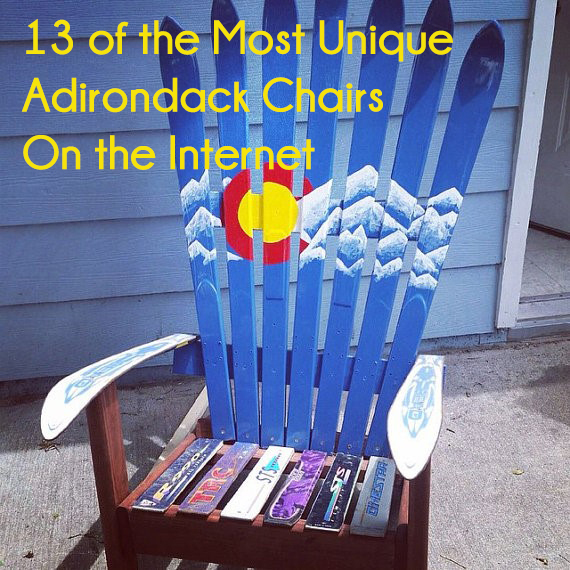 When furnishing you patio, it’s important to do your research to find the furniture that will work the best for your circumstance, or in this case, the best Adirondack chair! Each of our ECCB Outdoor Adirondack chairs are Amish-made in our Pennsylvania warehouse with the utmost attention to detail. While they’re manufactured similarly, there are a few differences between the Deluxe Adirondack and Value Line Adirondack models. 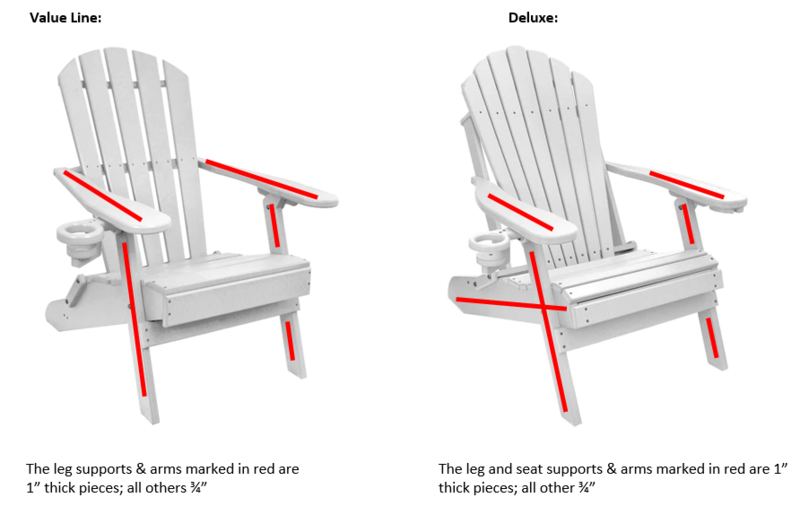 The Value Line Adirondack is a more streamlined design that uses a slimmer extrusion of poly lumber for most of the frame while the Deluxe Adirondack uses a 1” extrusion for more of the chair. Looking at the Deluxe Adirondack, you’ll see more poly lumber used in the number of slats in the back and seat, creating a more supportive back and seat. Both Adirondacks are built with a folding frame, so they can easily be taken on your next adventure or re-positioned into the sunlight. 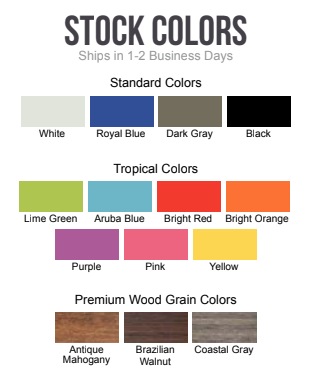 With so many poly lumber colors to choose from, it can be overwhelming to pick out exactly which one you want. From neutrals to bright tropical colors, you have plenty of options to choose from! But when it comes to Deluxe Adirondack and Value Line Adirondack, there are some differences in what colors are available. 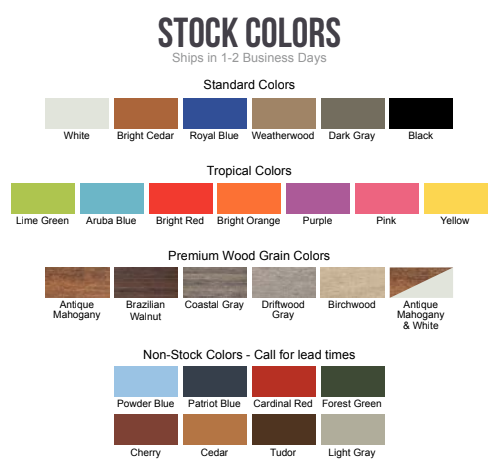 We offer the entire range of poly lumber colors for the Deluxe Adirondack Chair. If you can’t decide on just one color for your Adirondack chair, there is a possibility to order a Deluxe Adirondack chair in a two-toned color option. For our Value Line Adirondack, we’ve streamlined our poly lumber color offerings to make it simpler to choose. Want to test out the color before you buy? Order up to 5 free samples and find the color(s) that work best for your home! When considering between Deluxe Adirondack and Value Line Adirondack, it’s about more than just having a comfortable place to sit on your patio. All ECCB Outdoor Adirondacks built-in accessories that make them stand above the competition, including a hideaway cup holder that can be rotated in and out of the arm. 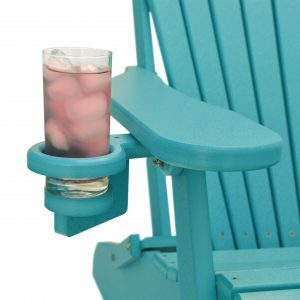 Beyond this cup holder, the Deluxe Adirondack Chair features a wine glass holder and a cell phone holder that make it even easier to relax in your favorite chair. These features are included with this chair model, a huge step above other competitors in the market for our price. ECCB Outdoor prides itself on offering high quality poly lumber patio furniture that can’t be beat on price. These two chairs are no exception! 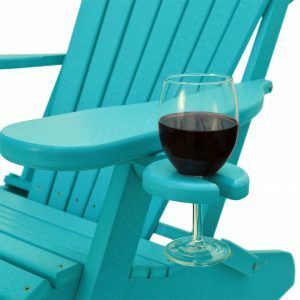 You will find that the Deluxe Adirondack Chair is priced higher than the Value Line Adirondack because it uses more poly lumber in its construction, is offered in more poly lumber colors, and has more built-in accessories like the wine glass holder and cell phone holder that the Value Line Adirondack does not have. Even with all the benefits of the Deluxe, the Value Line is still a fantastic deal with its more streamlined design. We strive to keep our prices as low as possible so for the most current pricing, please visit the listings for both the Deluxe Adirondack and Value Line Adirondack Chair. Which Adirondack chair would you buy for your home patio? Let us know and check out our latest products in addition to these models on ECCBOutdoor.com.